My Sunday school teacher lent me her copy of 999, and I am surprised that I spent a whole day playing it, managing to witness three out of the six possible endings. Who knew it could be so addicting? 999: Nine Hours, Nine Persons, Nine Doors has a very interesting story. 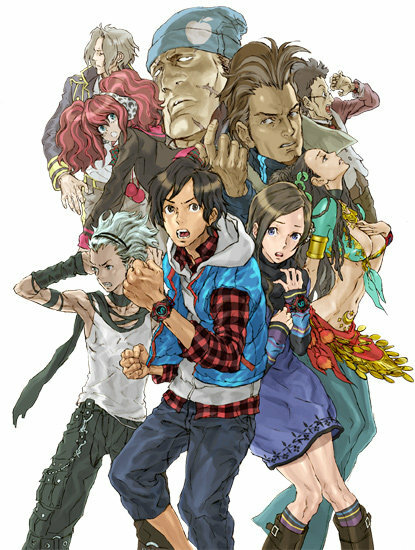 The game revolves around nine individuals who are kidnapped by an enigma by the name of Zero who forces them to play a life/death game on a cruise ship. You play as Junpei and collaborate with the other characters to escape the cruise ship within nine hours by finding a door marked with the number nine. Each character has a mysterious past which is revealed as the story progresses. As mentioned before, 999 features six possible endings, which is determined by the choices you make. I’ll leave it at that, and hopefully this synopsis piqued your interests. It reminds me of Battle Royale because the novel-part of the game can sometimes be quite graphic (gore-wise). The difference is obviously the characters are working together to escape rather than kill each other. The game is different from other visual novel games I’ve played (e.g. Phoenix Wright/Ace Attorney series) in that 999 involves a lot, and I mean A LOT, of reading. I like the style the characters are drawn, but sometimes they look awkward in some screenshots/ cutscenes. The graphics in the background look like they were created for the computer. I would have preferred if they were drawn the same way as the characters, but it does give variety to the game. The music complement some of the screenshots/cutscenes and gives the story a decent pacing. I recommend 999 to anyone who is into playing puzzle games or likes reading an intricate (visual) story. I think there are a few plotholes in the story, but I think this could be resolved after I achieve all the endings (and read more into it on gamefaqs or wikipedia). I love this game so much. I had borrowed it from a friend and loved every minute of it. I’d pay so much money for a sequel.